Nintendo has posted its financial report for the financial year that ended on March 31, and it's not a pretty sight. We didn't expect the Wii U to have had a miraculous recovery but things are a bit worse than we expected: the company sold just 310,000 consoles in the fourth quarter. That $456 million loss for the year isn't exactly something to be happy about, but Nintendo has faith that it'll see a return to operating profit in the year ahead aided by the more encouraging 3DS sales. The company certainly has some big months ahead of it with the launch of Mario Kart 8, Super Smash Bros, and hopefully some big reveals during E3 (although there'll be no press conference this year). But similar promises have been made before. In the meantime Nintendo promises to focus on making more use of the GamePad which has felt somewhat neglected recently. 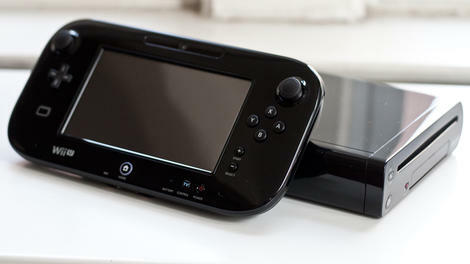 "By providing software that takes advantage of the Wii U GamePad, utilising its built-in functionality as an NFC reader/writer, and adding Nintendo DS Virtual Console titles to the Wii U software line-up, Nintendo will seek to enrich the value of the Wii U GamePad," the company said in a statement. Nintendo sees the GamePad as the key differentiator from other consoles, and perhaps the Wii U's last salvation, so the plan is to push out more software that takes advantage of it.